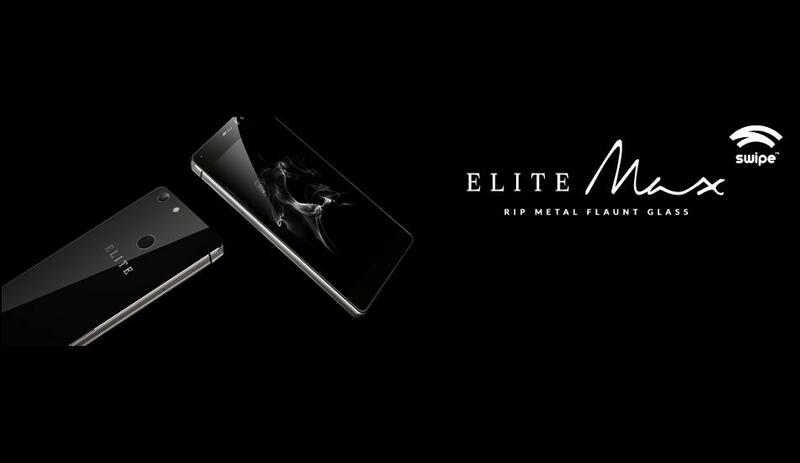 Swipe Technologies has come up with yet another smartphone in its Elite series, dubbed as the Swipe Elite Max. The device is marketed as the most affordable phone with 4GB of RAM and 32GB storage (expandable up to 32GB via microSD card) smartphone for as low as Rs. 10,999 via Flipkart. The phone will go up for sale from December 16 in Onyx Black colour variant. The Swipe Elite Max features a 5.5-inch FHD IPS display with a resolution of 1920 x 1080 pixels. It is powered by a Snapdragon 430 Octa-Core 64 bit processor. The phone runs Android 6.0 Marshmallow and has a fingerprint scanner placed on the front. The device sports a 13-megapixel rear camera with LED flash and PDAF along with an 8-megapixel selfie snapper. Regarding connectivity, the Elite Max supports Dual-SIM, 4G with VoLTE, Wi-Fi, GPS, Bluetooth, and microUSB port. A 3000mAh battery backs the device integrated with Zip Charge feature, which is touted by the company to deliver 120 minutes of talk time on 15 minutes of charge. Swipe has been launching a good range of smartphones under the 10k budget segment. It would be interesting to see how the Elite Max performs in the market. What’s your take on the Elite Max? Let us know through the comment section below. We didn’t have the confirmation about it at the time of posting this article, but it does have VoLTE support. We have updated the article as well. Thanks!